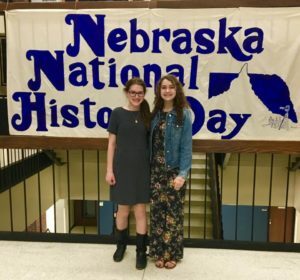 StJB eighth grade students Peyton Blankman and Isabella Hajek–Jones received second place for their Junior Group Performance at Nebraska’s statewide National History Day Competition held April 6th at Wesleyan University in Lincoln. 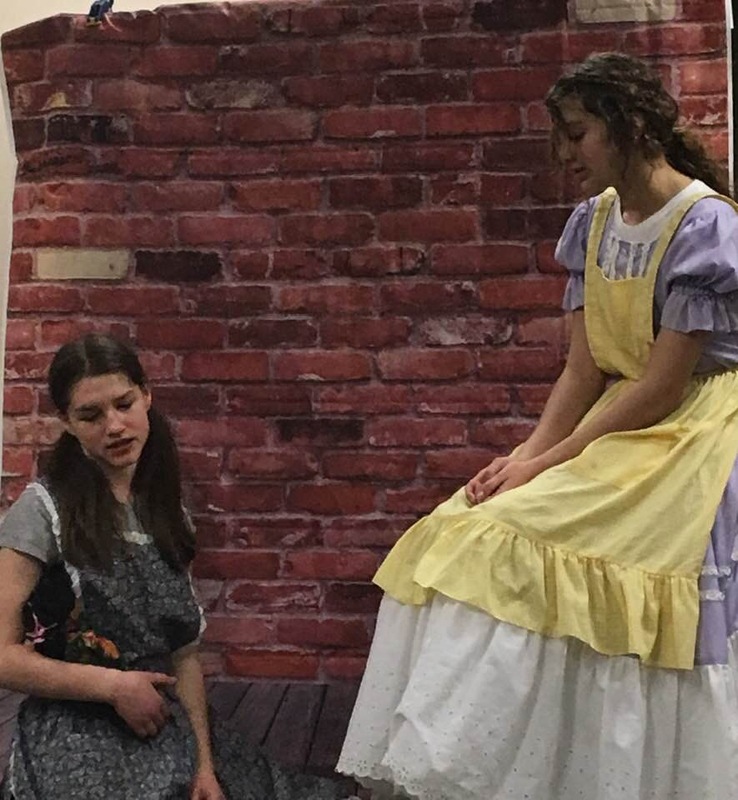 The students’ performance “A Triumph Against the Current: The Life of Susan LaFlesche Picotte” also qualified them for the National Competition to be held this summer. Peyton and Isabella’s performance is a dramatic portrayal of their topic’s significance in history. The students researched the topic, scripted the 10-minute performance and then presented it “live” to judges. Their performance is one of only two entries in the Junior Group Performance Division category to advance to the National Contest. 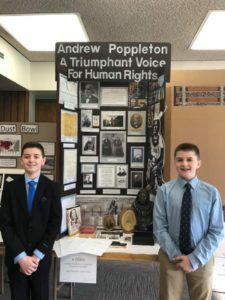 The 2019 National History Day Contest will be held June 9-13, 2019 at the University of Maryland, College Park. This will be the second consecutive year StJB will be represented at the national competition. 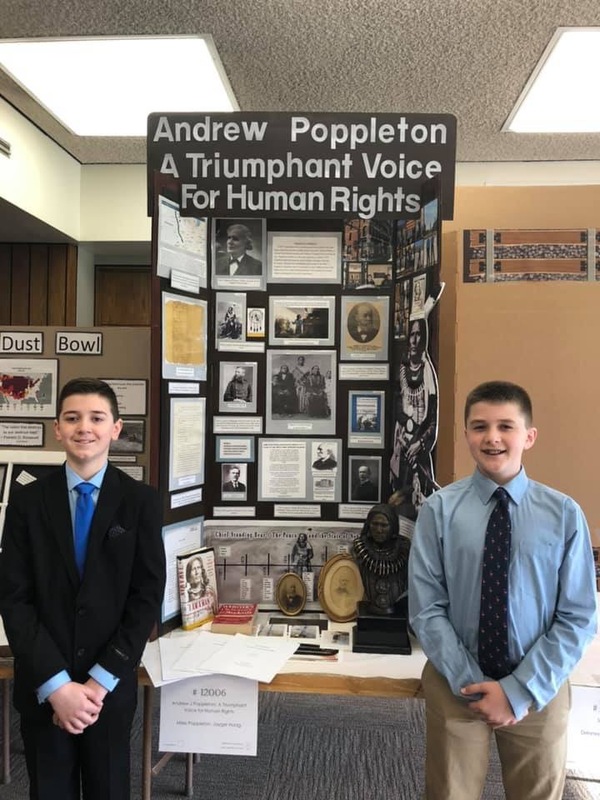 StJB seventh grade students Miles Poppleton and Jayger Haag received a special award at the State Contest for their second place entry “Andrew Poppleton: A Triumphant Voice for Human Rights” in the Junior Group Division. The NEBRASKALand Foundation Award honors the best entries in both the Junior and Senior Divisions that deal with a person, place, event, institution or other development that contributed to the heritage of Nebraska. While the students won’t be advancing to the next round of the competition, their project has already received attention and recognition from notable Nebraska dignitaries. 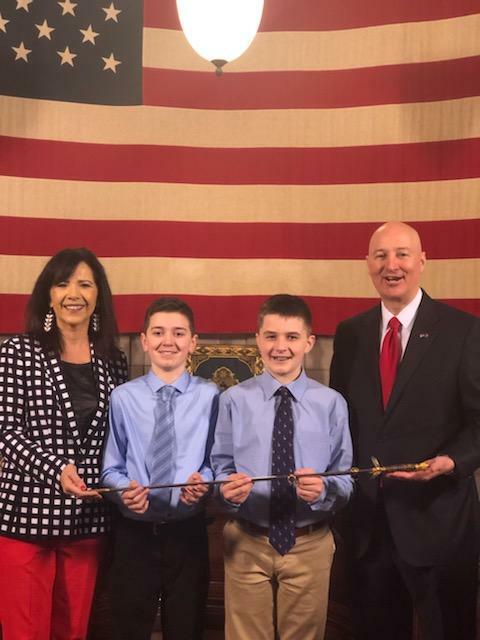 Following Miles and Jayger’s first place finish at the District Competition, the students and their families were invited to the State Capitol to meet with Governor Pete Ricketts, and other Nebraska senators and dignitaries, to share their historic project research. Their visit to the Capitol as well as their National History Day Project were recently featured in an article by the Nebraska Commission of Indian Affairs. You can read the article and view more photos from their visit to the Capitol HERE. Please join us in congratulating all the students who participated in this year’s National History Day Competition and wishing Peyton and Isabella the ‘best of luck’ at the National Contest this summer!